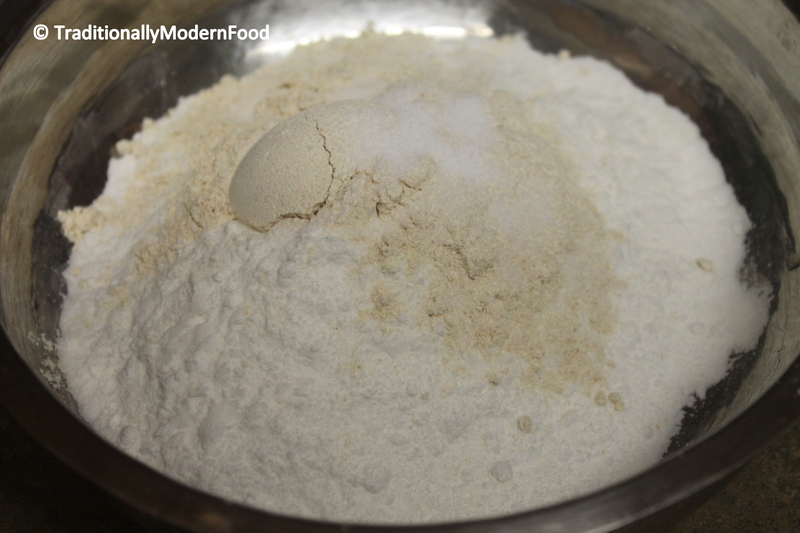 Dry roast the rice flour in low flame for 2/3 minutes. Do not overcook till they change color. 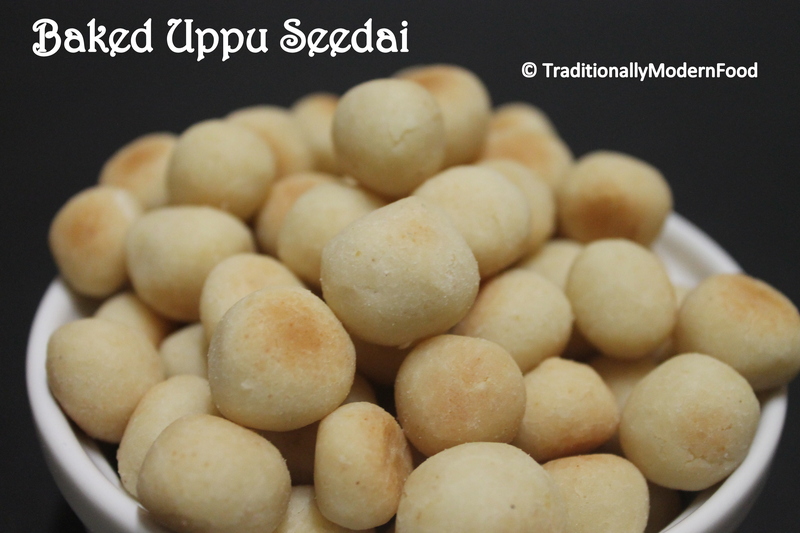 If you are frying, the seedai has to be fried in a medium low flame, as it will help for even cooking. 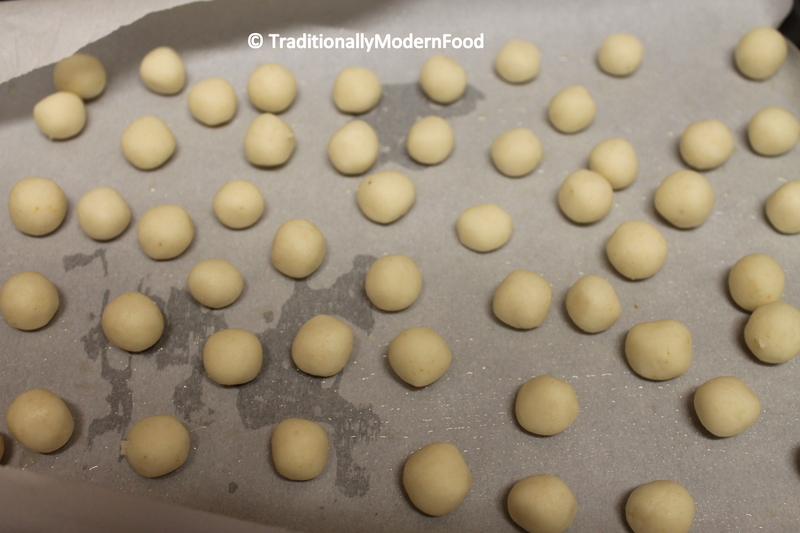 Heat oil in a pan, When the oil becomes hot gently put the seedai balls to the oil. Cook till the oil sound subsides. Wow, what a labor of love. These look so good! Ive never heard of these but these are cute! And they look like great snacks to nibble on! 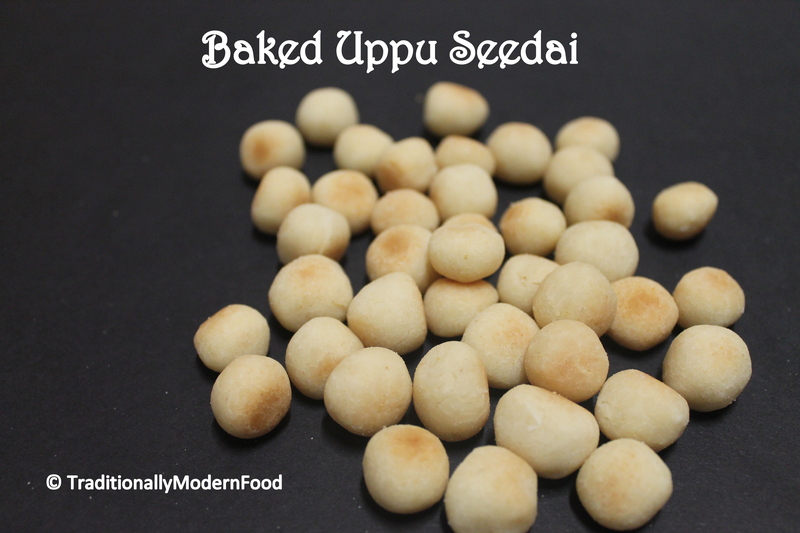 Baked seedai looks great and delicious. What a lovely idea, I was thinking of something similar. I’m very scared of making regular seedai as it bursts on me. I will follow your method. Beautiful clicks! 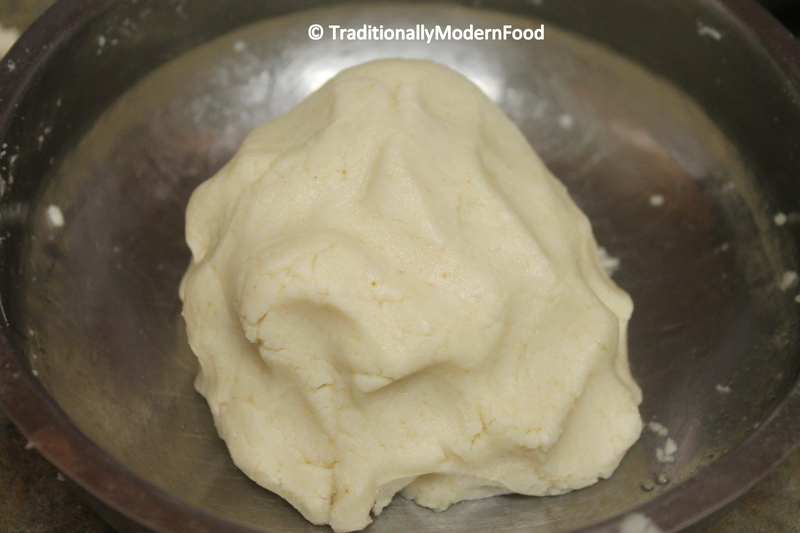 We have something known as Kaliyadakka in Kerala which looks similar to this..do you know if it’s the same thing?… this looks really good. Oh, your mom is so right! I am so scared of making these as they have burst on me some time back. 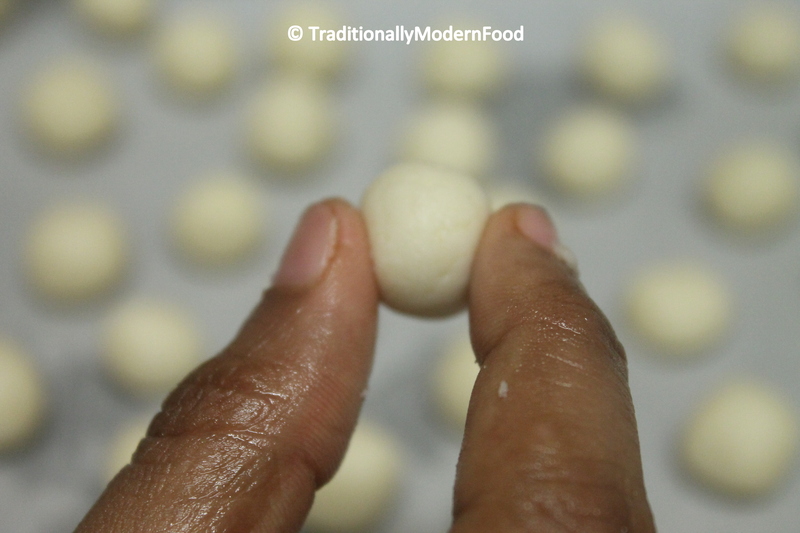 But I love the taste of these tiny little globes and you have given a tested recipe to try. Thank you, Vidya! Enjoy your Kutti Krishna! I don’t know what they are but they look very tasty! thanks for sharing! wow they look like little doughballs 🙂 lovely! looks super and with less oil, it is more healthy.. 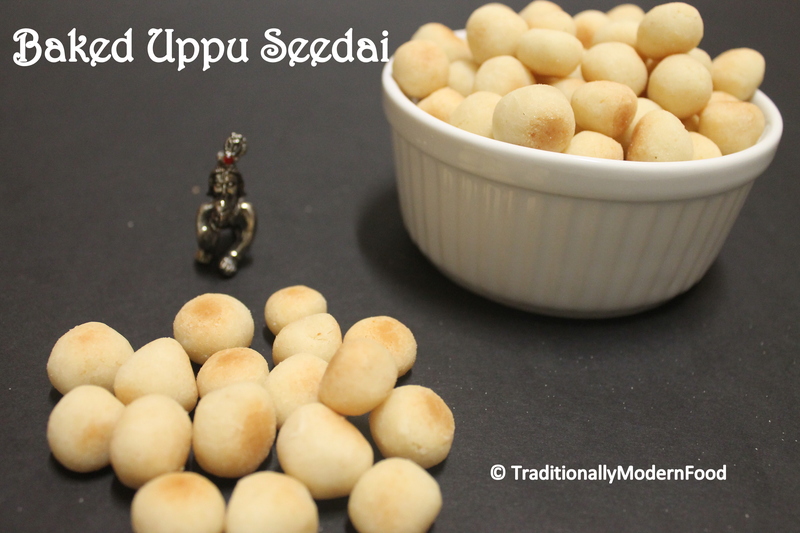 This is the first year where I got both my vellam n uppu seedai and also thattai correctly. 🙂 Baking is cool..
Wow, these look so interesting. I’ve never seen anything like them. They look like they would be hard to make, but tasty.